Being a parent can be extremely rewarding. It can also pose a number of challenges. Finding a dentist for your baby is one such challenge, but it won’t cause too much trouble if you know what to expect regarding infant dental care. The team at our Woodinville, WA dentistry practice would like to go over some of the basics of early family dentistry needs, and including answers to common questions we receive from parents about their children's dental health needs. When Do the First Teeth Start to Emerge? A baby’s first teeth will begin to emerge around six months. Some babies may take up to 12 months before their baby teeth first begin to show. Parents can expect to notice issues with teething around this time frame. Ideally, parents will want to bring their children to the dentist for the first time within six months of the emergence of the baby teeth. This will allow your baby to get early care and allow parents to get important info on infant dental care needs. What If I Miss That Initial Window for My Baby’s Dental Visit? If you do miss the initial window for your baby’s first dental visit, do not worry. Many parents do not take their children to the dentist until they are age 2 or 3. It’s never too late for your child’s first dental visit, but bringing them to the dentist as soon as possible is most ideal. What Happens During the First Dental Visit? During a baby’s first dental visit, dentists and their staff focus on getting to know the baby and getting the baby acquainted with the office. A simple exam of the baby’s teeth is performed, just to see how the teeth are coming in and if there are any early issues that parents should note. Our focus will be on making sure your child understands that the dentist is here to help, and make sure this is the first of many positive experiences that they will associate with dental care. Parents can feel free to ask questions and express their concerns. A dentist will listen and offer an honest assessment about what can be done for their baby’s health and wellness. There are plenty of resources available for people who want to find a good dentist for their baby. It’s best to start in your own network, asking local relatives, friends, and co-workers for recommendations. You can also use search engines like Google and Bing to find local dentist in your area who specialize in treating young patients. It’s always best to contact the practice and get a feel for who they are and their practice philosophy. This helps ensure you feel comfortable with them before bringing your child in for a visit. 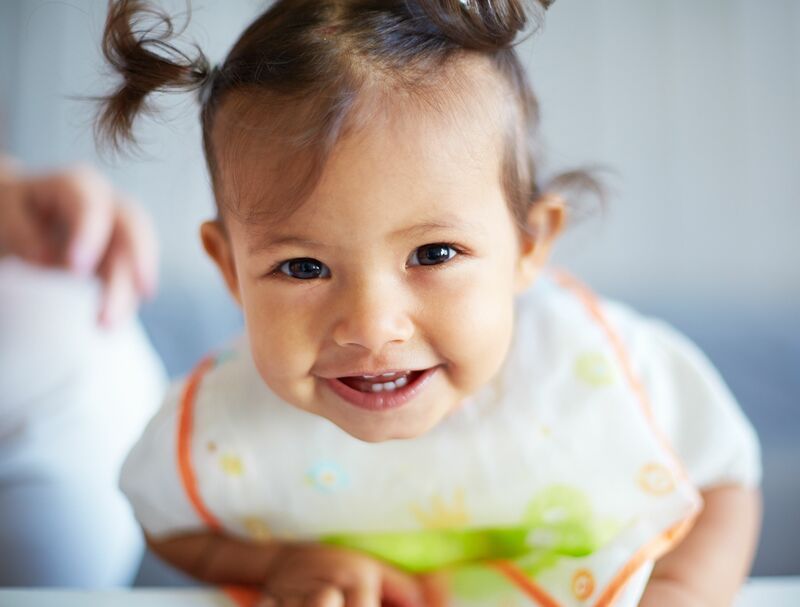 For more information about infant dental care needs and helping your baby have a healthy smile that lasts, be sure to contact the dental care team at Signature Smiles. Our team is here to offer honest dental care advice and provide a reassuring environment that you can trust.